Adobe and the Economist Intelligence Unit (EIU) recently ran a global survey that identified customer engagement - "establishing a deep connection with the customer that endures over time - as an increasingly important business mandate." The survey findings were released on March 31st in conjunction with Adobe’s annual financial analyst meeting, in a report titled "Beyond Loyalty: Meeting the Challenge of Customer Engagement." “The secret to success isn’t just about gathering or churning data, it’s about how you connect with customers through the medium of their choice,” said Adobe CEO Bruce Chizen. “Customers now demand information and interaction anytime, anywhere and through any medium." 1 in 10 estimates insufficient engagement accounts for 50 to 75 percent of lost sales. Nearly 90 % of respondents say that customer relationships are either very or extremely important to the success of their business. More customer engagement, executives believe, would translate into improved customer loyalty (80 %), increased revenue (76 %) and increased profits (75 %). 55 % believe they are less price-sensitive. 44 % believe their customers are only somewhat committed. 26 % believe that insufficient customer engagement costs them between 25% and 50%. 47% say that the difficulty of measuring customer engagement is the biggest barrier to achieving greater levels of engagement. GREAT EXAMPLES OF CUSTOMER INNOVATION IN ACTION! Thanks to Michael Fitzgerald of the New York Times for his great article in the Business Section of the Sunday New York Times, How to Improve It? Ask Those Who Use It!. 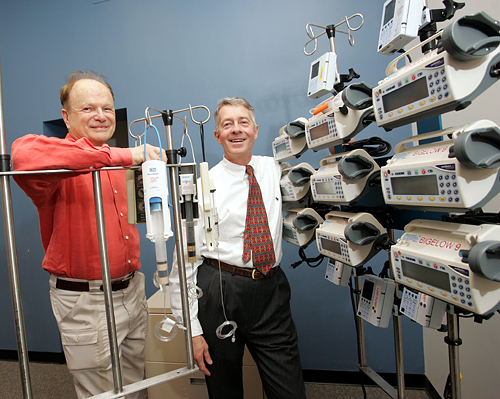 He includes a nice photo of Eric von Hippel of MIT with "lead user", Dr. Nathanial Sims, an anesthiologist at Mass General, whose inventions have included an intelligent, self-monitoring drug infusion pump, which generated $700 million in sales its first year. The thrust of the article is that your lead users and customers are the most predictable and successful source of new product innovations, which is, of course, also the main message of Outside Innovation! The Smart Pump, another one. Fitzgerald also cited Instructables--a community for citizen inventors, from Squid Labs. This is a great find! Brought to you by the folks at Squid Labs--Check out the Squid Labs' blog. Our company is full of stories from the gold rush and James Dean, Marlon Brando, Woodstock, falling of the Berlin wall--you can choose Lenin or you choose Levi's. It's really important for us to know how these cultural themes emerge and coalesce. We have communities of fashionistas, of hard-working people around the world. Lots of communities. We watch and observe. John Winsor: Project.. Community explored project.. go out to people's houses.. in reality and in virtuality. 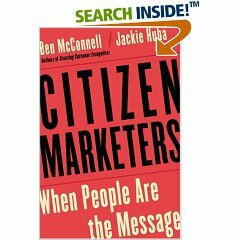 Look at the context of consumers' lives as they interact with the the community. Lots of ethnographies.. Mind maps of communities. .real and virtual community. Topic: Take a look at how companies successfully leverage internal and external communities to improve all their innovation processes. Sean Belka--We try to help people achieve their big life goals. We decided to build a purpose-built community. We do consumer research, customer listening, develop prototypes, conceptual and functional. We can engage hundreds of people that way. About 1 year and a half ago, we created Fidelity Labs to invite customers to give us feedback, what we could do better and take suggestions and see what was missing. By the time it got where we put things into production, they had been thru 5 stages before they go into production. In retirement planning.. There's only a certain set of folks who really want to engage with us. We've run customer sessions in Boston and we have a lead user panel, but this makes it easier for us to find the folks who really care passionately about retirement planning. Jake McKee, was responsible for LEGO group--the adult fan community. It was difficult in the beginning to convince the employees in the company to do this.. They didn't think that the 5% of consumers--adult fans were worth investing in. Having adult fans--like 5 guys who put together a model railroad layout and take it to the mall--and show it to 20,000 customers. One of my favorite projects was LEGO Mindstorms, four adult fans sitting side by side with the product developers. My role was to figure out that both side of the equation don't kill each other. How do we make sure that fans stay enthused. They had no idea that they'd be profiled in Wired magazine. Those 4 people were submitting wiring diagrams, product code, developing marketing efforts. We had 100 slots and 6,000 applicants for the Mindstorms. Rich- Boston Celtics. Before I joined the Celtics, I was with an Internet search engine--Lycos. It built market cap for Lycos, but I got into a sports world where community has a whole new world. We have a global community of fans who give us more feedback than we could manage. Most teams don't talk about ticket sales as product development, but we did. Allows us to create products and experiences that meet their needs. I've worked in businesses where the biggest challenge is to get people to tell you what they want. When we send out a survey, we get a 50% open rate. People want to tell us what they think about the team, finding a parking spot, a trade or a draft pick we made. We've spent the last 4 years building out an infrastructure that allows us with analytics that let us tailor promotions to their needs (go out on Friday night for dinner and a game, business entertainer, family with kids--we'll book restaurant reservations, sit you courtside, etc.).. We've created an analytical infrastructure that lets us put it to work. No one talks about it, but community is what it's all about. This is the inaugural Community 2.0 conference being put on by Shared Insights. It's being held in Las Vegas March 12-14th. Conference was kicked off by Barry Libert, CEO of Shared Insights, and then by Francois Goissieaux, the conference chair, who both stressed the mood of informality and strategic conversations. John Hagel led off with the keynote. See his blog. Edge Perspectives. I'm very encouraged about the commercial prospects of online communities. 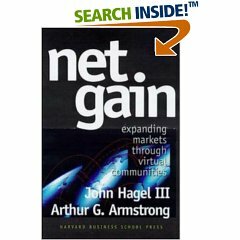 My book NetGain was published in 1997, was one of the first to focus on online communities in business. Every business plan in 1998 claimed to be about virtual communities.. the result was a lot of wasted investment and backlash. 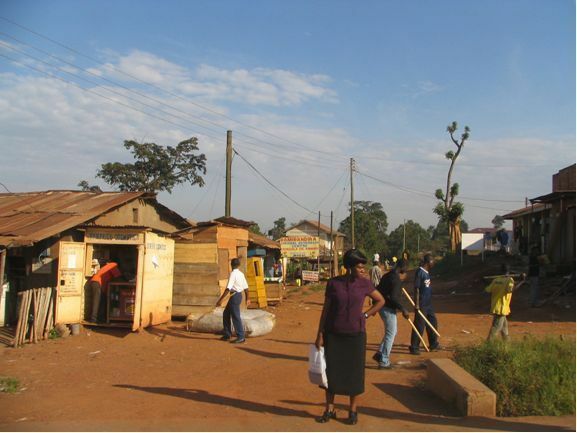 Most of the virtual community initiatives have operated under the radar screen. In the past 12 months, I've gotten a series of phone calls from blue chip execs asking for help with virtual communities. So my personal barometer says that there's a time for climate change. Community 2.0 is heralding a rebirth of online communities. One lesson learned from my book: people focused on the opportunities, not the challenges.. The first challenge has to do with language. What are virtual communities? (anything that involves conversations among people? Establishing connections among people with common needs on shared networks. Shared Discussions among people over time. 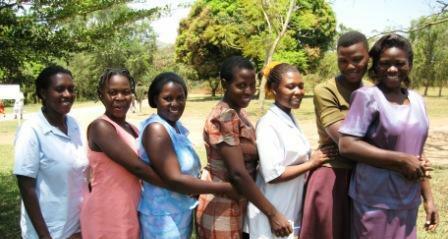 Shared identity with one another and with the community. Shared meaning that grows over time. The resurgence in virtual communities? They respond to deep needs we all have. Virtual communities take a couple of different forms. Some started in physical space and became electronic. Others started electronically and added the physical community aspect. Every community starts with a spike in one of these three areas.. but don't do a good job of combing all three. Move from a top-down, imposed organization view to a bottom up emergent organization view. Organization-Who's accountable? Do they have the status and influence within the organization to mobilize the resources and talent required to foster community? Are they too narrowly focused in their interests? Marketing/Customer Support/Product Development or any other functional area? If the person has a narrow view, the community's focus will be narrowed. Systems-What is being measured and what is being rewarded? How will they define success? What are the relevant operational metrics? Are there systematic reviews? Do we reflect on how we're doing? Skills-Who has the relevant experience? Are they being mobilized into the virtual communities?